Things happen. People need help. And standing strong doesn’t have to mean standing alone. We stand together with our employees to provide time, money, and support to the causes, communities, and people we believe in. 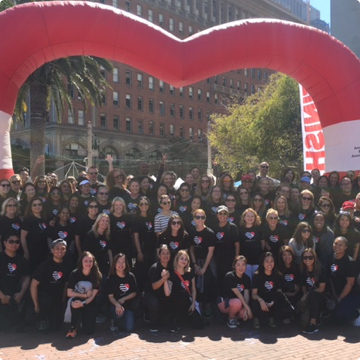 Many Sephora employees enjoy volunteering and their activities are supported on our annual volunteer day at the Field Support Center headquarters, and through opportunities at our retail locations and distribution centers. Together we’re making a more beautiful world. 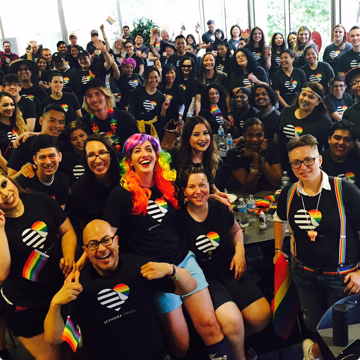 The Sephora community extends beyond the workplace. More than co-workers, we are a family. And we are there for one another when things beyond our control impact our lives. The Sephora Stands Together Fund provides the short-term financial help needed in times of emergency or financial hardship. “Sephora Stands Together helped us get back on our feet when we needed it most!" Most grants are awarded for expenses related to disasters or severe financial hardships; events beyond our reasonable ability to plan. Sephora Stands Together grants are not loans—they do not have to be repaid. Amounts awarded vary based on individual circumstances. Employees can donate to the Sephora Stands Together Fund and contributions made will be matched by Sephora’s Giving Program. Sephora encourages employees to give to the causes and organizations they care about in whatever way possible—monetarily or in the form of volunteering. For every hour a Sephora employee volunteers at an eligible nonprofit organization, we donate $10 to an eligible charity of their choice until our annual giving goal is reached. We match employee charitable donations dollar for dollar, up to a certain amount per employee, until our annual giving goal is reached. At this time, we are not able to fulfill requests for product donations. Sign up to receive updates from Sephora Stands.